Tasty and crispy moong dal cabbage vada is the best winter snack recipe which is very simple and easy to prepare. 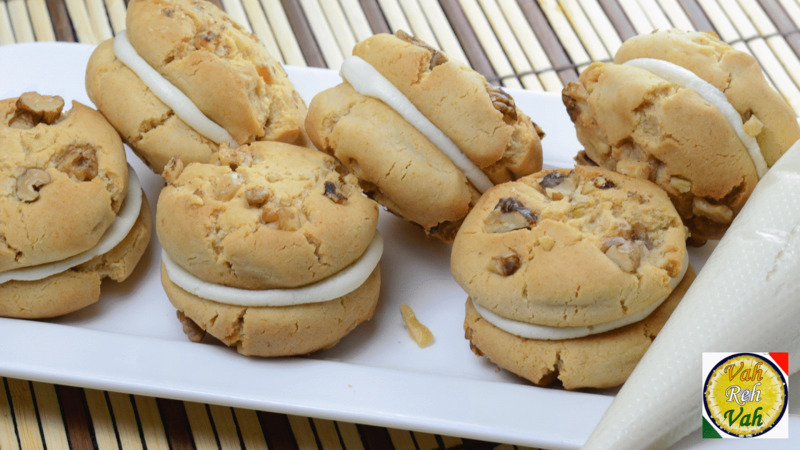 This homemade cookies are better than any store brought cookies in flavors and taste. A delicious and yummy chicken rice recipe made using chicken and rice mixed together by adding aromatic spices into it. An healthy and tasty paratha stuffed green peas and spiced with masala. Noodles omelet or Chinese noodle omelet made with noodles and some vegetable stuffing are very pleasing and appetizing. Cool weather call for hot tea or soup it is human nature, so try this easy and delicious tea prepared with hibiscus and ginger. A sweet, spicy and tangy chutney made with fresh ginger and some simple ingredients, perfect to served with dosa and idly. 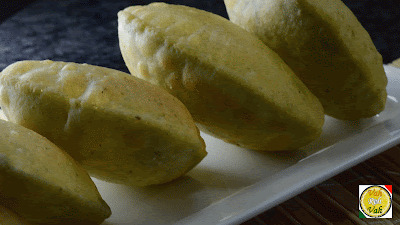 These sweetcorn patties can be had for breakfast or as a evening snack, made with sweetcorn and some simple masalas. Sweet Potato Halwa is rich in nutrients and relatively low in calories, this halwa makes a great dessert for an Indian meal. 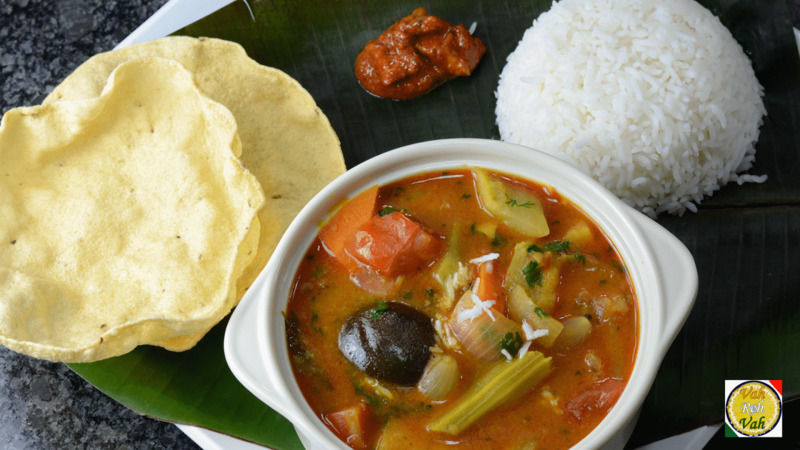 A popular easy sambar from Sri Lankan Tamil cuisines, made of toor dal, veggies and sambar masala. one of the most popular restaurant style paneer recipe perfect for get together parties as a starter dish. A flavorful chicken pizza spiced up with red chilli paste and mozarilla cheese. A south indian deep fried snack prepared with chicken, rice flour and some simple masalas. 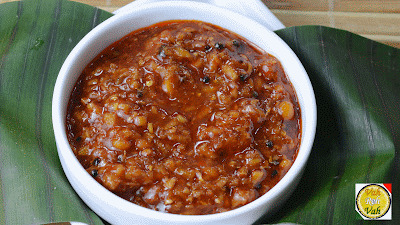 A spicy, tangy and tasty chutney made from boiled tomatoes, goes well with rice and chapatis. It is an easy snack to prepare and tastes yummy, made with sliced potatoes coated with spicy chick pea flour batter. A quick sweet recipe that is made with only a few ingredients like semolina, coconut, sugar, nuts and ghee. A traditional maharashtrian delicacy prepared with maida, almonds and cashew nuts, tastes delicious and awesome. An unique halwa made of grated sweet corn sweetened with jaggery and flavored with spices like cardamom and saffron. 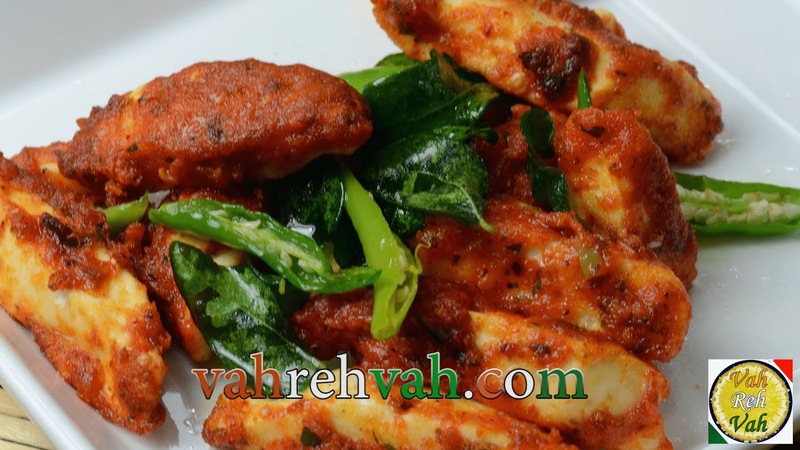 Badami Chicken is a dish which is made with almonds, chicken, curd and other spices, which goes well with rice and chapathi. Cool weather call for hot tea or soup it is human nature, so try this easy and delicious soup prepared with mushrooms and some simple ingredients . Bored of eating pakodas try this burger stuffed with egg and also cheesy sweet corn, tastes super and awesome. A few spices, onions and tomatoes mixed egg curry recipe in kerala style, which tastes best with parathas and rice. 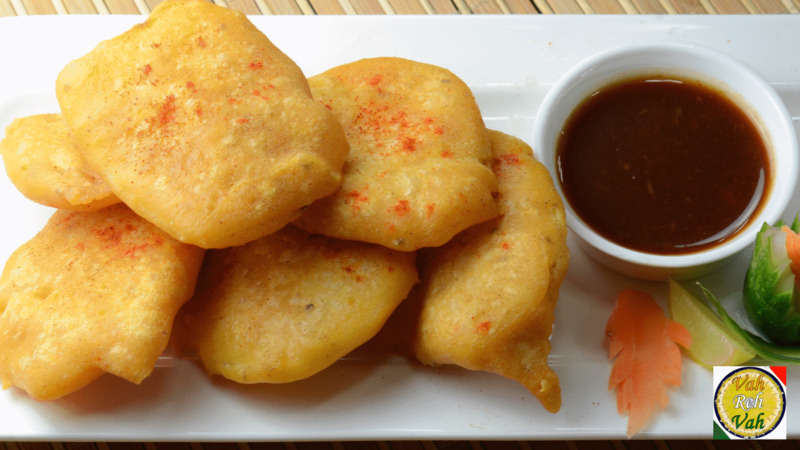 Green Peas Puri is a delicious Indian recipe served as a Breakfast. 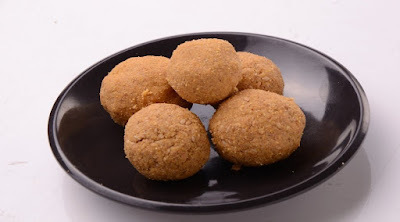 Crispy puris stuffed with green peas are superbly flavored and simply divine. .
Maida burfi is a delicious, quick and simple barfi made with all purpose flour, ghee and sugar syrup. 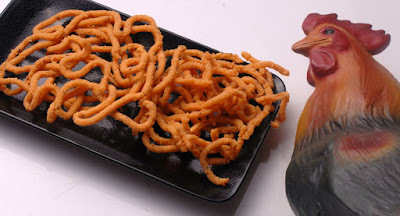 This is a very popular street food prepared with mirchi and some simple kitchen available ingredients. These Date Rolls are no-bake soft chewy rolls with crunchy nuts, especially around the holidays. Crunchy Paneer Pakoda is a delicious Indian recipe served as a Snack, prepared with paneer and some chat masalas. Butter tea has been drunk for over a thousand years by the locals in the mountains of Tibet, prepared with home available ingredients. 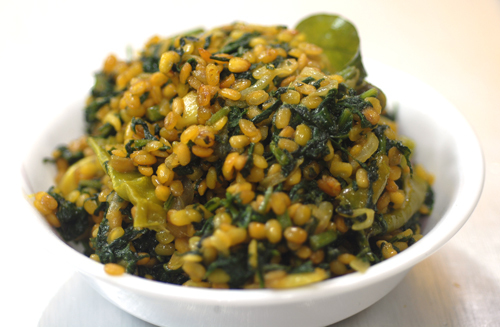 A spicy and mouth watering recipe prepared in a innovative style, goes well with chapathi and rice. 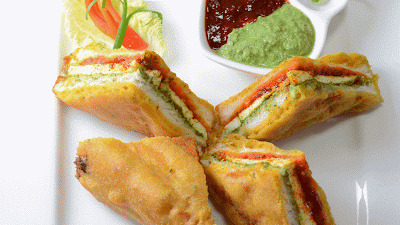 Enjoy every sip of tea with this homemade chicken sandwich stuffed with sundried tomatos. It is an ideal rice preparation for vegetarians cooked with blended herbs and spices with basmati rice.